Are you ready to make the big leap from real-world business to online companies? 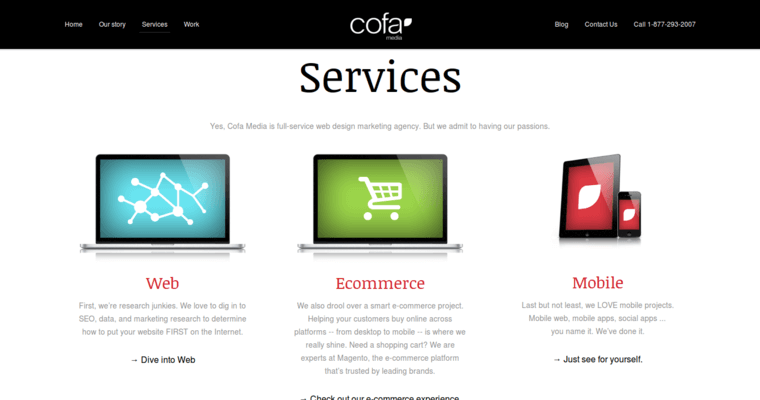 Cofa Media can help you make a smooth transition with a web design that optimizes the best of your business. Your products and services are important, so they take center stage on informative webpages. 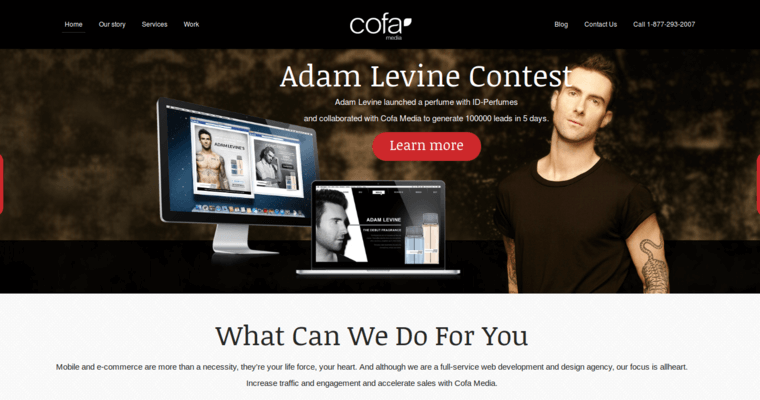 But the landing page gets the most attention, as this page is what draws in your prospective customers. 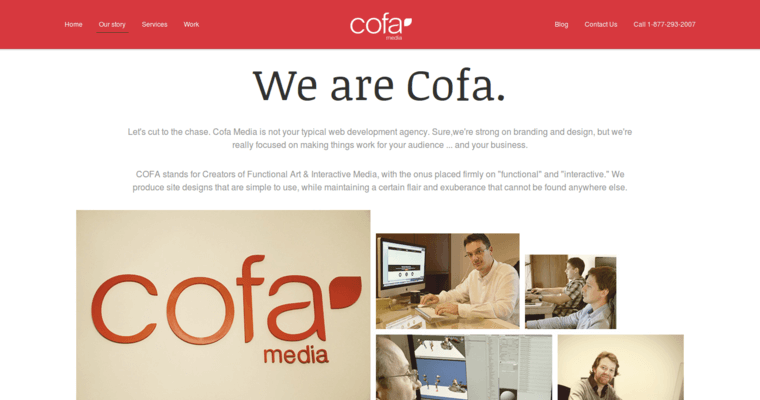 Cofa Media is a team of design and development experts. Their use of technologies combines classic reliability with modern creativity. This means they implement new tech, like contemporary apps, but they also use compatible, tried-and-true platforms.